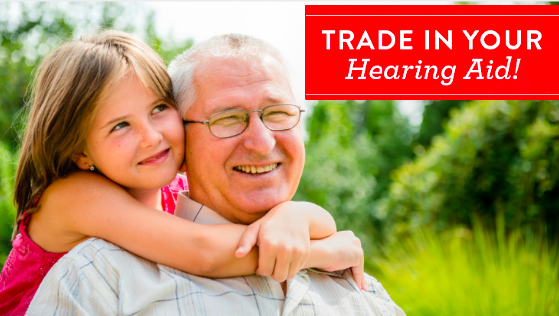 WHAT IS THE TRADE-IN VALUE OF HEARING AIDS? At Lifetime Hearing-Denton we offer a value for your old/used hearing aids. How do we calculate your value of your hearing aids? Typical depreciation on products can vary. The most common calculation is to take 100% of the MSRP (Manufacturer’s Suggested Retail Price), and divide that amount by the number of useful years of the product. This leads to the question “How long do hearing aids last?” In order to answer this there are several factors to take into account. Some people can make a purchase of hearing aids that last for 10 years while others can lose their hearing devices two weeks after purchasing them. This is a very large spread, but after nearly 30 years of dispensing hearing aids, I have found that the average useful life of a hearing aid is still about three to five years. When I first started dispensing hearing aids, my customers would ask “How long do hearing aids last?” Being new to the industry I asked my mentor this question. My Mentor had been dispensing for 28 years as an owner of a Beltone dealership in upstate New York. His response was “Well, don’t give your opinion on the matter. Do your own research using reliable resources, and then report your findings to your customers.” Later, I would learn that his advice was the best advice I could ever get especially in how to counsel patients correctly. In 1988 Consumer Reports had made a survey about the longevity of several things and hearing aids were on that list. In that report it listed that hearing aids lasted 3-5 years with two repairs expected during that period. I also discovered that there were two known issues with hearing aids at the time: (1) moisture – hearing aids shorting out due to excessive sweat, or moisture getting inside the hearing aids and corroding the battery contacts, and (2) wax related problems causing the hearing aids to malfunction and stop working. Manufacturers, well aware of these problems, made great strides in resolving them. They introduced replaceable receivers (speakers) on RIC (Receiver-in-the-Canal) products, and “Nanocoating. These developments virtually eliminated the problems of moisture and ear wax interfering with hearing aids. Nanocoating is an extremely fine fibre woven material that can be applied to a product. It causes water molecules to cling to itself rather than penetrate a surface. Part of this technology was derived from a science called “Biomimicry”. Biomimicry is defined as the design and production of materials, structures, and systems that are modeled on biological entities and processes. These scientific observations in nature (such as examining let’s say an aloe leaf) helps scientists to understand why water is repelled instead of soaking into the leaf. Scientific Engineers then duplicated that design using the same composition, to develop products that mimic nature. Nanocoating is commonly used today in the production of hearing aids by major manufacturers. However, despite all the advances in technology, hearing aids still do last longer than back in 1992. The average lifespan of a hearing aids is still 3-5 about 3-5 years. So why is this the case, and what does this have to do with with my trade in value? The answer is that technological advances have dictated the demand for new hearing aids rather than structural design alone. Hearing aids that are properly fitted and help people with their hearing problems don’t necessarily need to be replaced. But new technologies are constantly being integrated into hearing aids, for example listening to your phone conversations in both ears hands free while driving your car. Because these new technological advances make hearing aids so much easier to use, and more effective, people see the need to replace older outdated hearing aid models in order to keep up with the changes and benefits of the newer models. Hearing aids can now be manipulated through your Smartphone to quickly and easily make changes to your hearing aid settings in order to adapt to changing hearing environments. This development alone is pretty impressive and exciting! So do folks trade in their perfectly good programmable hearing aids for new technology? The short answer is YES. In fact, they do this more frequently now than ever before, and as already mentioned, this is primarily due to the rapid advances in technology rather than the size, shape, or a functionality of the hearing aids themselves. So what then is the value of my old hearing aids? Technically a business can offer you whatever it decides in order to make a sale. The truth is that older hearing aids have very little value due to the rapid changes in technology. However, for a clinic that offers second-hand or refurbished hearing aids free of charge to customers who simply cannot afford new ones, the trade in of older hearing aids becomes significant. After some research we have found the expected useful life of a hearing instrument is no longer than 7 years. That being said to come to a valuation of the hearing aids, the common formula is to take 100% of the MSRP (Manufacturer Suggested Retail Price) divided by the number of useful years then multiply that by 20%. Or take the MSRP and multiply that times 20% then dived that out by 7 years. Using the national average of a high quality hearing aid (including warranty at the manufacturer but not including the aftercare provided by the servicing clinic) is about $2,300. (According to AARP in a 2015 survey. https://www.aarp.org/health/conditions-treatments/info-2016/hearing-aid-costs-prices-cs.html). So, $2,300 x 20% = $460 if your device is 3 years old then multiply $460 x 3 =$1,380, then subtract that amount (depreciation cost) from the MSRP leaving the value at $920. But remember this will probably include at least one repair (in that time frame), so deduct the average cost for a hearing aid repair ($140 -$225). This leaves you with the value after 3 years of about $695 – $780. This is why you may see advertisements that offer $1400 -$1,500 for a set of old hearing aids. These clinics are giving trying to cater for the best trade-in scenario for all hearing aids because it’s just too much effort to do the calculations! OTC (Over The Counter) hearing devices are back in the spotlight. Hearing healthcare professionals, manufacturers, and lawmakers are taking a hard look at what this means for the economy, and where these products currently stand in the marketplace. Hearing devices known as PSAP’s (Personal Sound Amplified Products) have been around for many years and are nothing new. Currently they can legally be bought online or through mail order. Sadly, while there will always be people looking for the next “something for nothing” gadget that promises to fix their hearing problem, they inevitably end up losing their hard-earned cash while becoming disilussioned about amplification products and hearing professionals in general. 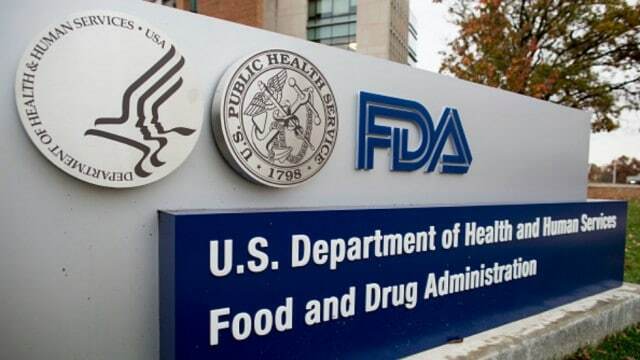 The FDA and some lawmakers appear to make a valid point about making hearing help available to as many Americans as possible. They claim that the high cost of hearing devices make them inaccessible to those who need them most. However, many healthcare professionals, including myself, disagree. These well meaning individuals are either ignorant of the facts, or present a biased argument because of political or monetary gain. Their biases prevent them from correctly evaluating the situation and coming up with the right solution to the problem. Hearing aids are already priced at an affordable rate. Ironically it is the same rate that PSAP’s or OTC devices will be priced at when they hit the market (About $368-$650 each). But why do more people not know about this?Simply because it’s not showcased at the Audiologist or Hearing Aid dispenser’s office, and for good reason! The professionals know better than anyone else that these devices don’t work well enough. No matter which way you see it, an OTC device simply does not work as well as other (more expensive) hearing aids in a noisy environment. An OTC or PSAP will never ever be able to compete with a hearing system that processes complex speech in noise simultaneously while improving the SNR (Signal-to-Noise Ratio). Let’s consider why using two hearing aids is far superior to using one. The human eye provides us with clues as to why this is true. With two eyes we can perceive depth because we have another perspective. But when using only one eye everything appears to be flat or subjects in view may look larger. This can be very deceiving because it impairs our ability to judge depth or distance correctly. There is no doubt that a person can see much better with two eyes rather than one. The concept is the same with hearing aids. When wearing one hearing aid, (even with a directional microphone), it becomes difficult to locate the source of sound or speech. This principle applies to all hearing aid devices. Firstly, with only a single point of reference your brain cannot compare signals effectively. For example, a sound created on your left side (while wearing a hearing aid in your right ear), will be perceived to originate from your right side. Without a second point of reference, you will automatically look toward the direction of the louder sound source. In other words, you will look in the wrong direction. The implication of this problem is that you could walk across a street, hear the sound of a car horn, then look in the wrong direction. The outcome could be fatal. 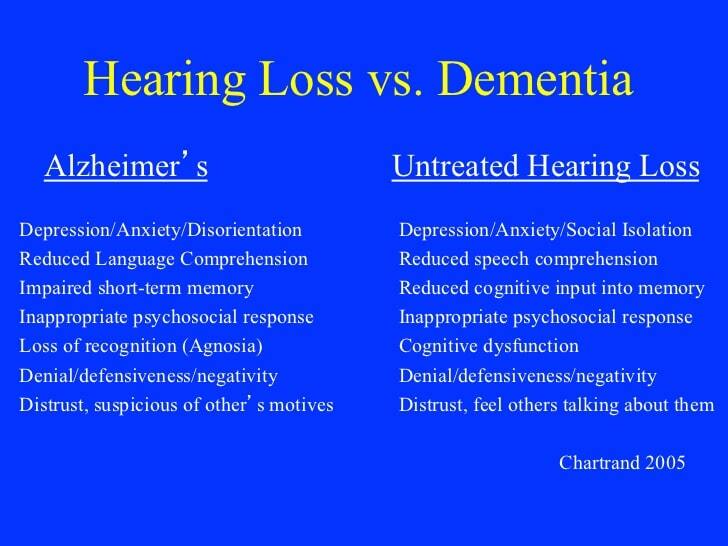 Secondly, wearing only one hearing device does not improve the signal-to-noise ratio for a person with binaural hearing loss, especially noise induced hearing loss. This is because background noise is predominantly low pitched. Therefore a person with this type of hearing loss (who has better hearing ability for low frequencies compared to their inability to hear high frequency portions of speech), will struggle to hear the speech cues. High frequency portions of speech are vital in isolating speech when we listen in a noisy environment. Amplification alone does not solve the problem of being able to isolate speech above other sounds around us (i.e. it does not improve the signal-to-noise ratio). Many people who chant the mantra of “low cost hearing aids” purchase one hearing aid instead of two. Those suffering with mild to moderate hearing loss sometimes conduct a self-diagnosis, and opt to amplify sound in the ear they strugle with the most. They are often reluctant to purchase a second hearing aid because it then moves them into a price point of more advanced hearing aids. But even if they do decide to purchase a second hearing aid, they fall into the trap of using two hearing aids that are designed to work INDEPENDANTLY OF EACH OTHER rather than being SYNCHRONISED. Because each individual unit has no way of interacting with the other unit, this can agravate the persons hearing problems even more. Every hearing professional knows that If the signal-to-noise ratio is not improved, audability in a noisy environment is not improved. It is important to note that there is currently no technology that exists in over-the-counter hearing devices that enables them to isolate and redirect speech. Unlike advanced hearing aids.They are designed to work as independent devices and can therefore not interact with a second hearing device. If we already have low cost products available at the dispensing offices of hearing instrument specialists and Audiologists, then why is there a push to introduce an over-the-counter device? Many of my colleagues will say that “these are patients that will never come into your office in the first place. While this may be true in some cases, I contend that it is no reason for us to sit by idly and let them be taken advantage of by someone that wants to make millions in product sales, or who wants to make a name for themselves in the political arena! The Certificant, as a practitioner in the hearing health care profession, shall hold paramount the welfare of the patient/client. The Certificant shall respect the inherent dignity and rights of all individuals. The Certificant shall adhere to the core values of the profession and shall act in the best interest of the patient/client over the interest of the Certificant. The Certificant shall not engage in conflicts of interest that interfere with professional judgment. I guess that the folks that are pushing this issue are not being held to a level of any standard, or ethics that compels them to do the right thing. It is my opinion that the driver of this bill to endorse OTC devices is surrounded by money or political gain, and not in the best interest of the consumer/patient/client. 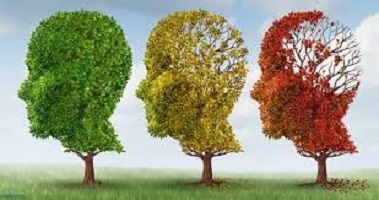 Those of us professionals who see patients daily, and help them through their struggles to maintain their level of communication with their family, loved ones and the general public, know that being able to hear and understand is most important to them. Through counseling and low cost devices we find creative solutions to help them maintain their dignity and ability to communicate effectively. Helen Keller, once said that losing one’s hearing is worse than one’s sight, because losing one’s sight cuts you off from “things” but losing your ability to hear cuts you off from “people”. The proponents of OTC hearing aids, seek only to sell a product of sub-standard quality to an eager community desperate to engage with the people around them. It just does not seem right to me to take advantage of a person in a desperate situation in order to make a profit, or simply to gain a political advantage. This movement also seeks to drive a wedge between the professional and the patient. Ironically it is the professional who provides the keys to better hearing and successful hearing aid fitting. The hearing professional focuses on developing and maintaining good relationships with their clients. They get to know their customer in order to deliver meaningul and effective hearing solutions that count. A hearing aid professional simply cannot be put in the same category of a vendor peddling low-cost, innefective hearing aids! If you find yourself in the predicament described in this article, call Vincent, Amanda, or Michelle for a no-obligation friendly discussion to see if we can find a great solution to your hearing challenges. Because we also offer FREE HEARING TESTS with no obligation to do business with us, you can only gain by coming to see us before you make your next expensive mistake! The levels of professional advice, service and attention to detail that we provide for our valued customers at Lifetime Hearing Denton, is priceless and certainly cannot be compared to over-the-counter hearing devices, no matter how cheap they are. Those who know us can testify to the levels of service, attention to detail, and sound professional advice they get once they come through our doors!. Our customers become our friends, and have no hesitation in refering us to their family, friends, and colleagues. We are so confident of the great customer experience enjoyed by many, that we will put you in contact with one or more of our customers so that you can get first hand testimonials from them. Listening to music with hearing aids can be frustrating. Folks with normal hearing enjoy musical celebrations this time of year, but for us with hearing loss, it presents difficulty. Be it a concert at U.N.T.or an unexpected caroler come a wassailing, it can be unnerving. I have worn hearing aids for several years now and find that listening to music tends to lose its luster on any “automatic adjusting” program. But why is this the case? Hearing aids get confused on the automatic program while listening to music. Hearing aids have trouble distinguishing between musical notes played from a violin or piccolo, versus actual feedback created by the physical product itself. The short answer is that hearing aids create artifacts when attempting to correct the “perceived” feedback while in automatic program mode. The best way to listen to music is by using hearing aids with an integrated music program. This enables you to enjoy the full dynamic ranges of the music. Have your hearing aid dispenser install a “Music” program for your hearing aid. When you listen to music you can then simply change the program on your hearing aids to music mode, and the result will be great sound quality without any feedback. Recently my wife and I attended an exuberant packed-house holiday musical performance at the Margot and Bill Winspear Performance Hall at U.N.T. I was enjoying the concert, but it wasn’t until I adjusted my hearing aids to the “Music” program via my iPhone that I could really enjoy the full and complex musical sounds of the music. One of the greatest novelists of all time, Leo Tolstoy once said that “music is the shorthand of emotion” and for most of us, being able to listen to music is indeed one of life’s great joys — and something we often take for granted. If you’ve suffered some degree of hearing loss, you’ll know that listening to music is no longer what it used to be. How we hear music is subjective and individual, making it difficult to reproduce authentically and naturally through a hearing aid. The good news is that hearing your favorite music the way you remember it is within reach. Come and see us at Lifetime Hearing Denton so that we can advise you on the best solution for your needs. Don’t miss out on the joy of music this Christmas!